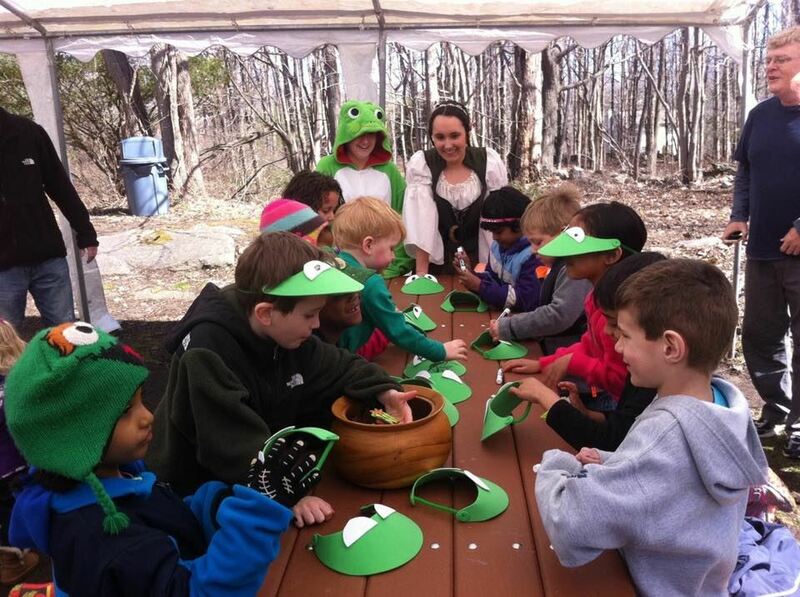 Choose from one of our many exciting, nature-themed birthday parties! From mystery and fantasy, to exploration and art… Birthday parties at the Discovery Zone are sure to make your child’s birthday unforgettable! The Discovery Zone will create a special birthday party experience for your child that is exciting and educational! Whether your child loves to explore or you are tired of the same “party factories” - everyone will love visiting the Discovery Zone’s outdoor classroom and easy-to-navigate nature trails! Parties last 2 hours, with 1 hour of that time being led by a Discovery Zone teacher. Take a look at our 10 exciting party themes below! Be sure to take note of when the parties can take place during the year, as well as what age the birthday boy or girl should be. Ahoy Matey! Children transform into pirates and head out for a Pirate treasure hunt like no other as they follow clues to the hidden treasure left behind by Pirates centuries ago in the forest of the Discovery Zone! Meet Captain Hawk and convince him to tell you where the treasure is buried. Children five and under will go on a treasure hunt looking for gold coins! 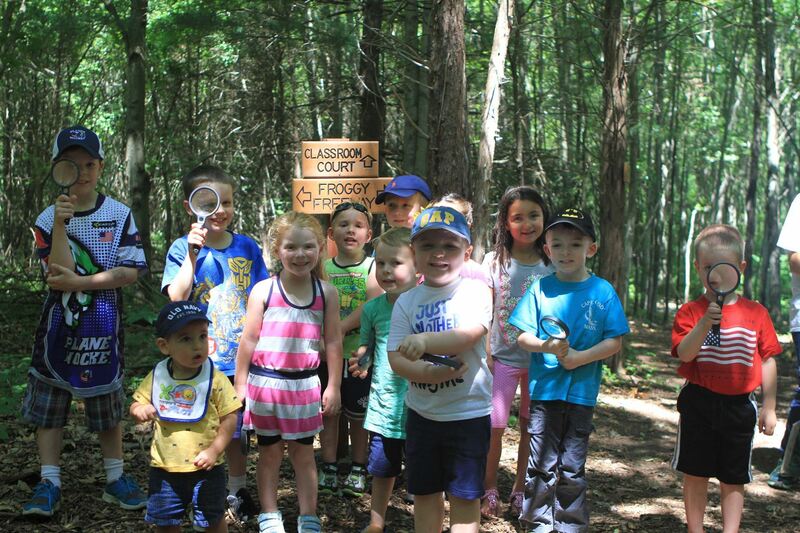 Children head out into the woods for a grand adventure to search all over for salamanders, frogs and maybe even some turtles-and we know where a lot of them are hiding! An action packed hour for kids who love outdoor excitement and adventure! Children transform into elves to ward off Jack Frost from freezing up the pools and ponds in the Discovery Zone with his frosty touch, saving our friendly frogs, turtles and salamanders! The party starts with a special story in our classroom, and then our transformed elves will go explore the forest and find a special wand to make for a happy ending to this very exciting party! 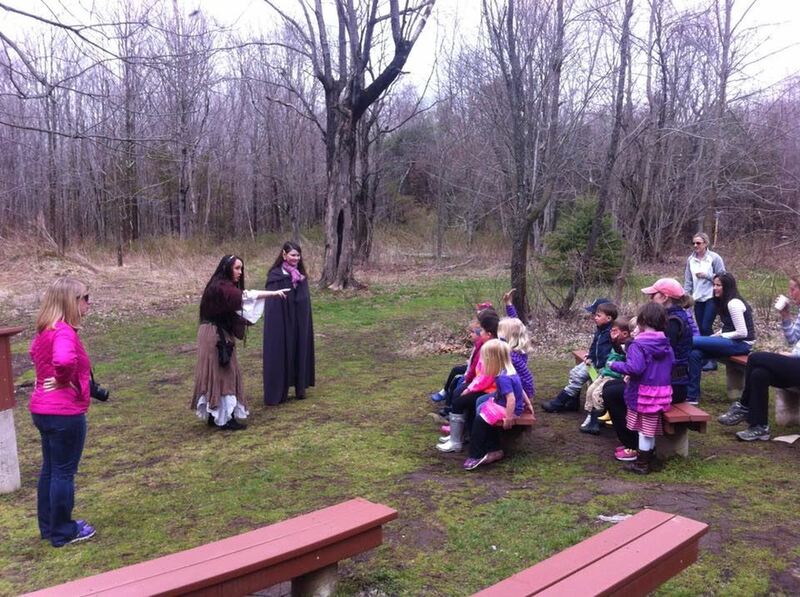 Fun and fantasy are everywhere in the enchanted forest at the Discovery Zone! 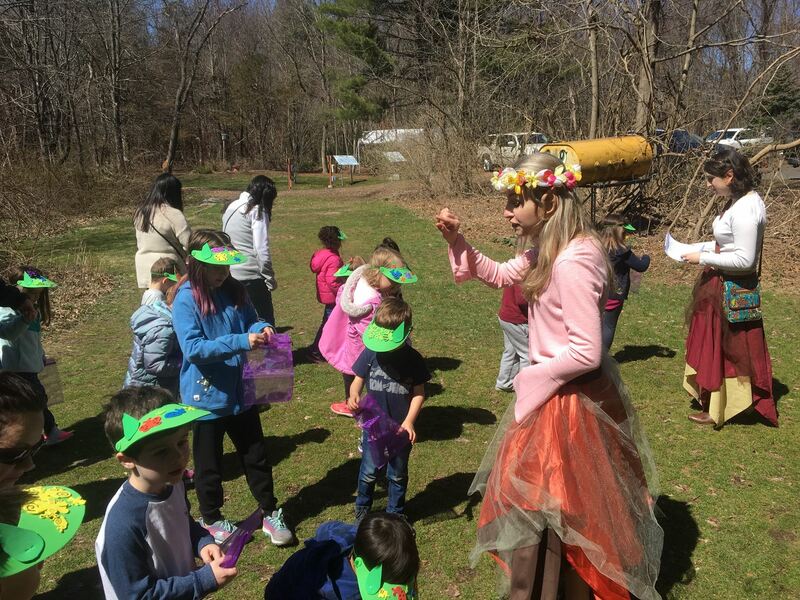 After reading Tracy Kane’s “Fairy Houses,” children find natural materials and let their creative powers take over to make their very own fairy houses! Got a child who gets buggy about bugs? You're not alone! Let them learn more about insects while we explore the Discovery Zone to catch and inspect our buggy buddies! Grab the nets and get a little wet to see who lives in the Discovery Zone vernal pool ponds! 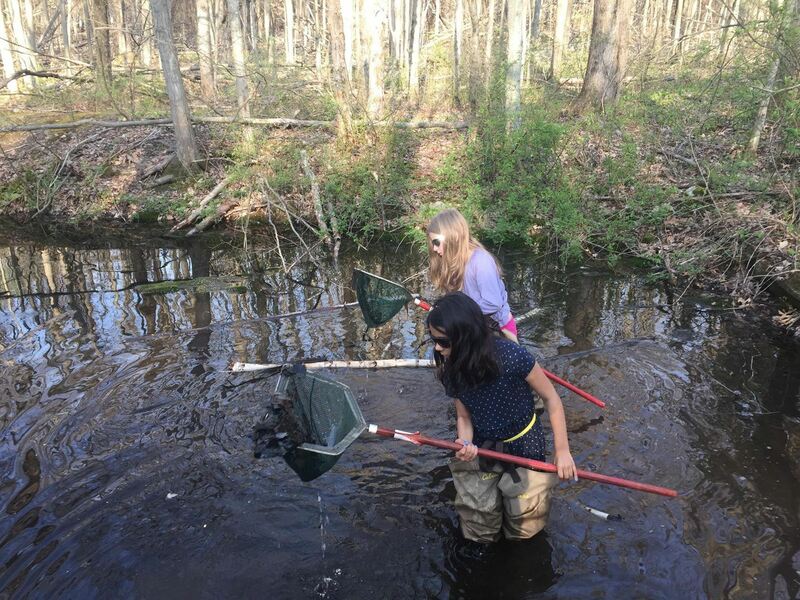 What will we catch (and release) from our rich and diverse vernal pools teeming with life just below the surface? Then get to make your own slimy egg masses to bring home! Art is all around us in the outdoors! Let your birthday goers explore and see what natural items they can find to express their own personal sense of art while creating a nature craft at the Discovery Zone! Children can make an art collage to take home or jewelry. Kids love rocks and we’ve got a lot of them at the Discovery Zone! 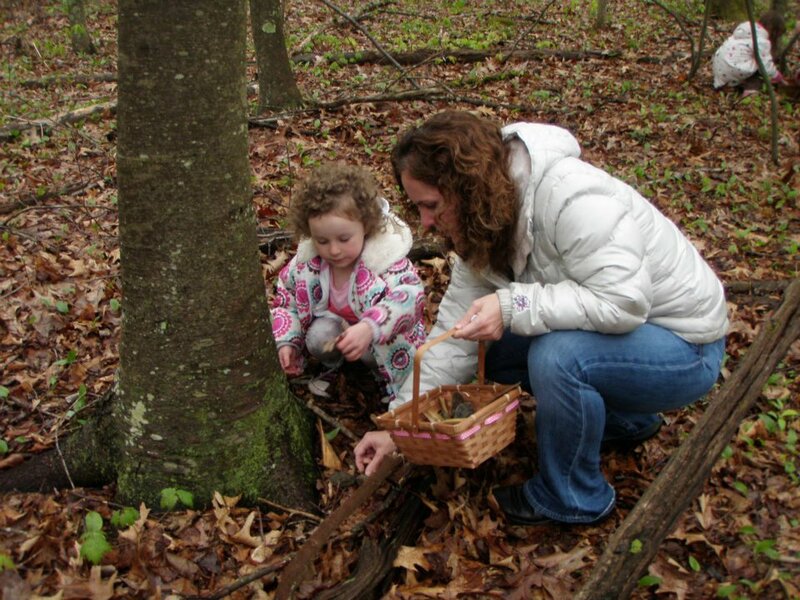 Go on a scavenger hunt, learning about rocks and minerals native to Connecticut. Then, either start a rock collection or craft a piece jewelry made from rocks and minerals! Search for buried artifacts like Indiana Jones! Uncover the history beneath our feet! Kids become real archeologist as we dig for authentic Native American and Colonial artifacts provided to us from the CT Museum of Natural History! There is so much to discover at the Discovery Zone! 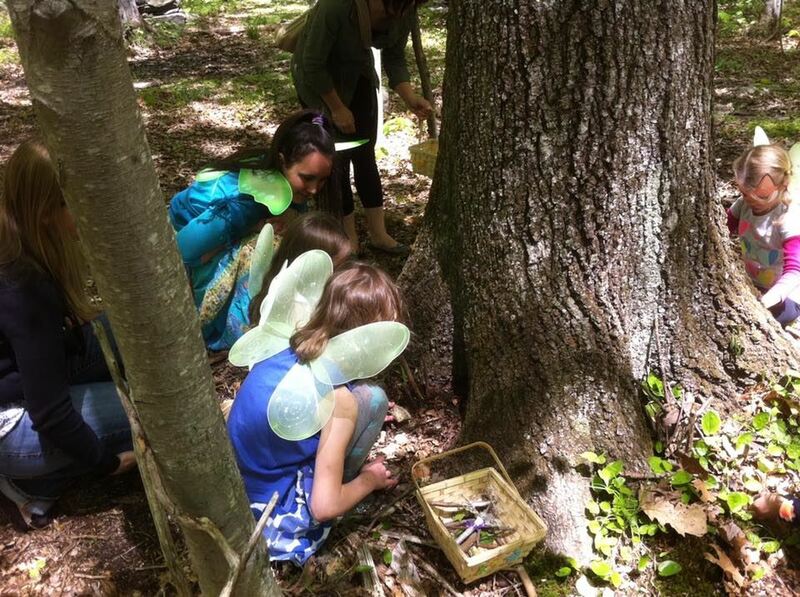 A fun-filled scavenger party may be created for your child, guided by one of specially trained teachers! "The Discovery Zone was the perfect place for my son’s 4th birthday party. The kids LOVED dressing as pirates and going into the woods looking for clues and treasures, then filling and decorating their treasure boxes when they returned. The kids and parents were still talking about the party the next week at school! I can’t thank them enough for making my son’s birthday so special." *Siblings of the birthday child or guest (ages 3 and up) are included in the total number of children. Finally, we can help arrange for delivery of your pizza from Jennie's Pizzeria for your guests! Ask us for more details. Email us at info@webbdiscoveryzone.org or call us at 203-556-9737 to discuss available dates. A deposit of $50 is required at the time of party booking. Please notify the Discovery Zone at least two weeks in advance of your scheduled visit or your payment will be forfeited.